The Sunday Times disclosed last month that London’s murder rate had overtaken New York’s in February and March. 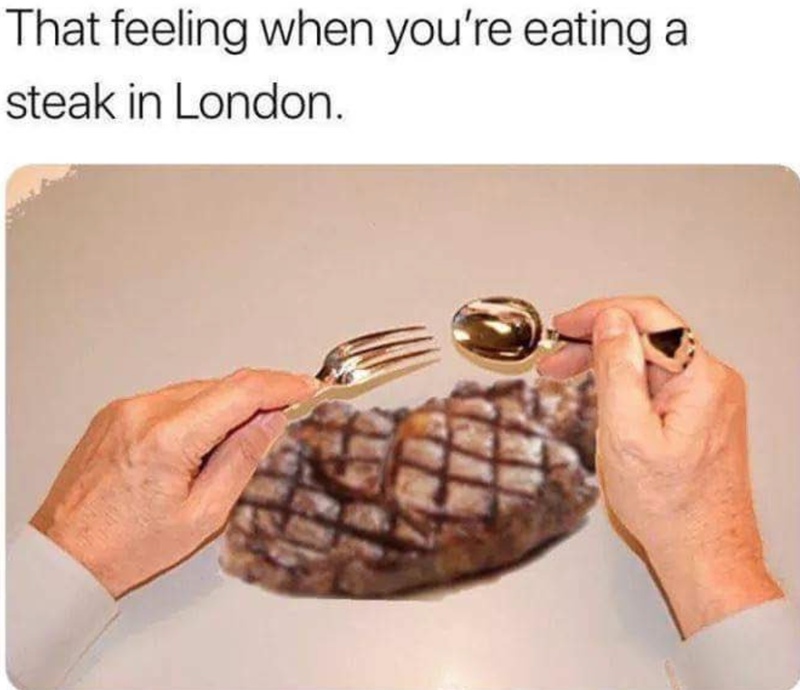 At least 36 people in the capital have been stabbed to death so far this year. Knife crime is up 20% in London over three years. But in the home counties the increases since 2014 are far steeper. Knife crime incidents in Hertfordshire are up 150% from 229 incidents in 2014 to 573 in 2017; Hampshire is up 102%, Cambridgeshire up 83%, Warwickshire up 180%, Bedfordshire up 86%, Essex up 86%, Thames Valley up 50% and north Wales up 134%. Norfolk’s knife crime rate has rocketed 274%. 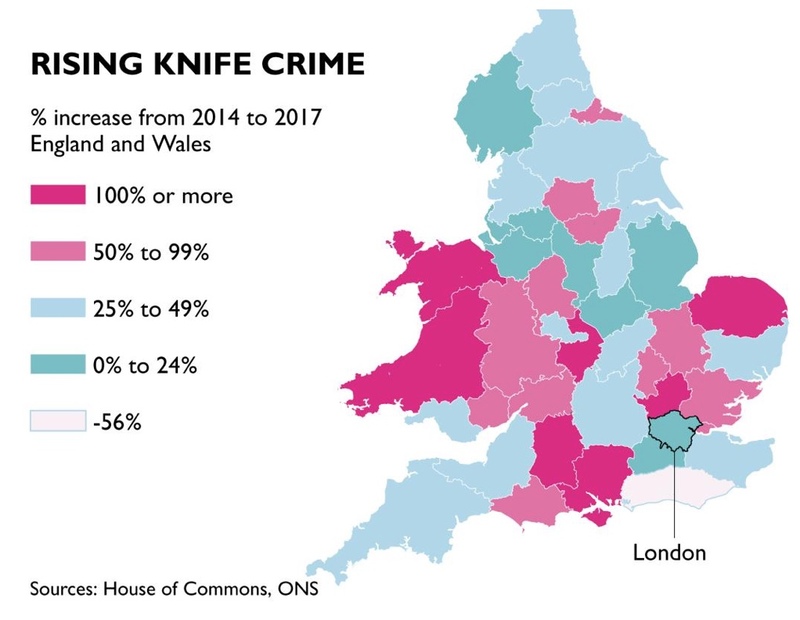 Pretty clear England needs to institute greater knife control right away.